It’s always exciting for local theater fans whenever a touring Broadway show comes to the area for the first time. It’s really exciting if the show is a recent winner of several Tony Awards. 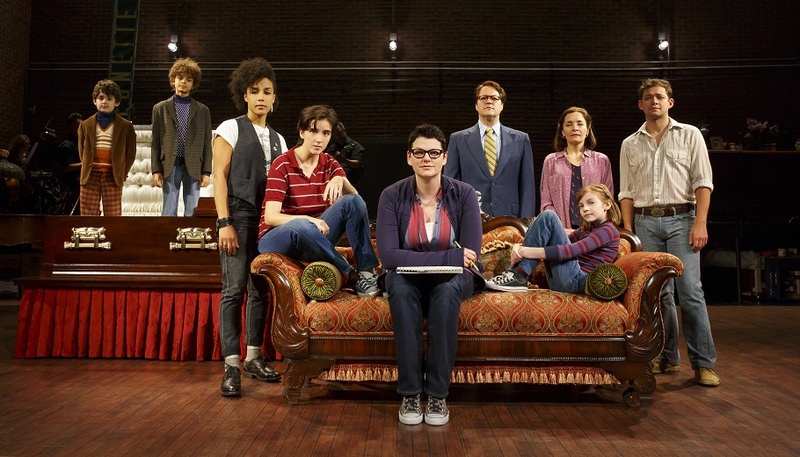 Excitement is definitely on tap this week when the hit musical “Fun Home” comes to the area. 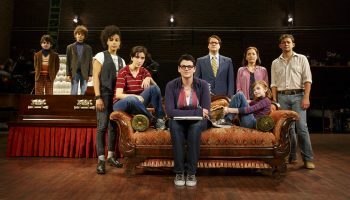 Now through June 18, the Kimmel Center’s “Broadway Philadelphia” series will present “Fun Home” at the Forrest Theatre (1114 Walnut Street, Philadelphia,www.forrest-theatre.com). “Fun Home,” which is based on Alison Bechdel’s best-selling graphic memoir of the same name, was a smash hit on Broadway. That should come as no surprise to anyone familiar with the show. “Fun Home” is a musical adapted by Lisa Kron and Jeanine Tesori from Alison Bechdel’s 2006 graphic memoir of the same name. The story concerns Bechdel’s discovery of her own sexuality, her relationship with her gay father, and her attempts to unlock the mysteries surrounding his life. The show introduces us to Alison at three different ages as she explores and unravels the many mysteries of her childhood. It is a refreshingly honest musical about seeing your parents through grown-up eyes. As Bechdel works on her memoir in the present day, the successful middle-aged cartoonist recalls two time periods in her life. The first is her childhood, around age 10 (Small Alison), when she struggles against her father Bruce’s obsessive demands and begins to identify her inchoate sexuality. The second is her first year in college (Medium Alison), when she begins her first relationship and comes out of the closet as a lesbian. It is the first Broadway musical with a lesbian protagonist. The tour features Kate Shindel in the role of Alison Bechdel with Abby Corrigan playing Medium Alison and Carly Gold playing Small Alsion. Susan Moniz plays the role of the mother — Helen Bechdel. “I wasn’t familiar with the show when I first auditioned,” said Moniz, during a phone interview last week from a tour stop in West Lansing, Michigan. “I put myself on tape for an audition and sent it to the producers. They flew me into New York the next week to continue the audition. They gave me a couple scenes from the show and a song from the show to do. Moniz got the role without ever seeing the show. “I finally saw the show after we started rehearsals,” said Moniz. “I wanted to see the effect of the show. I chose to see it only once because I didn’t want to be affected by any other actor’s performance. “The show tells the story of Alison Bechdel. It’s a play with music – more of a play than a classic musical. It looks back at her relationship with her father, who was a closeted gay. And, she’s gay. “He committed suicide when he was the same age as she is when telling this story. She looks back at her life and tries to see things more clearly. The story is done as a memory play – three stages of Alison’s life. “It looks back at what went on in the household. But, it’s not told as a flashback. It’s non-linear with no real flashbacks. It flows from one age to another – going back and forth. It’s magnificent the way it flows back and forth. “It’s set in the 1960s and 1970s when she is younger and goes up to the present day. You see in the show that being gay is something she felt ever since she can remember. This show is timely – especially with the current political challenges to the rights of the members of the LGBT community. It is also a show with appeal for everyone. Video link for “Fun Home” – https://youtu.be/8mYQPMEysko. The show at the Forrest Theater is running now through June 18 with 7:30 p.m. shows June 13-15, 8 p.m. shows June 16-17, 2 p.m. show on June 17 and 1:30 and 6:30 p.m. shows on June 18. Ticket prices range from $67-$132. Lisa Bouchelle is now being touted as a “Country/Americana” artist. In reality, Bouchelle is an entertainer on a lot of levels. She is a talented songwriter, a powerful singer and a mean guitarist. She is a musician who excels both as a solo artist and fronting a rocking band. Bouchelle, who is headlining a show on June 13 at John & Peter’s Place (96 South Main Street, New Hope, www.johnandpeters.com), is a sought-after backup singer. She is also an accomplished cook, a former model and the host of her own television show. 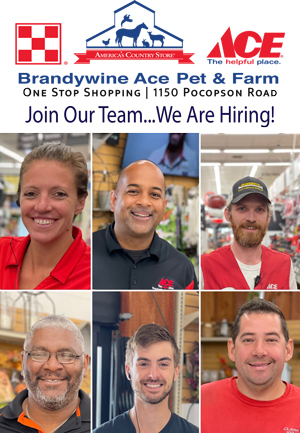 “The ‘country’ description came in about five years ago,” said Bouchelle, during a recent phone interview last week from her home in the Trenton area. “The EP was done recently,” said Bouchelle. “It was a collection of four songs from ‘Whole Lotta Highway.’ I did a re-mix on the tunes from the album. Bouchelle did a limited physical release of “Whole Lotta Highway” for her fans. It was co-produced by Jeff Trott (Sheryl Crow’s producer and frequent co-writer). “I did half of the album in California with Jeff Trott,” said Bouchelle. “I did the other half at a studio in Edison, New Jersey. The album was five months in the making. The songs were all new. I always road-test songs before I release them. I don’t consider them done until they’re broken-in. “The album is about my first tour in 2007. It was baptism by fire so I had to write about the experience. I got a call from my manager and he told me I had three days to get ready for a tour. I was opening for Blues Traveler. Bouchelle, Blues Traveler’s fans and John Popper (lead singer for Blues Traveler) all realized that her maiden tour was the start of something really good. Popper and Bouchelle crossed paths again this year. “‘Only the Tequila Talkin’,” which I wrote with John Eddie, was recorded as a duet with John Popper,” said Bouchelle. “I ran it past John Popper and he was really down with it. It’s a fun drinking song. In recent years, Bouchelle has been building a fan base and establishing herself as a top-flight musician. 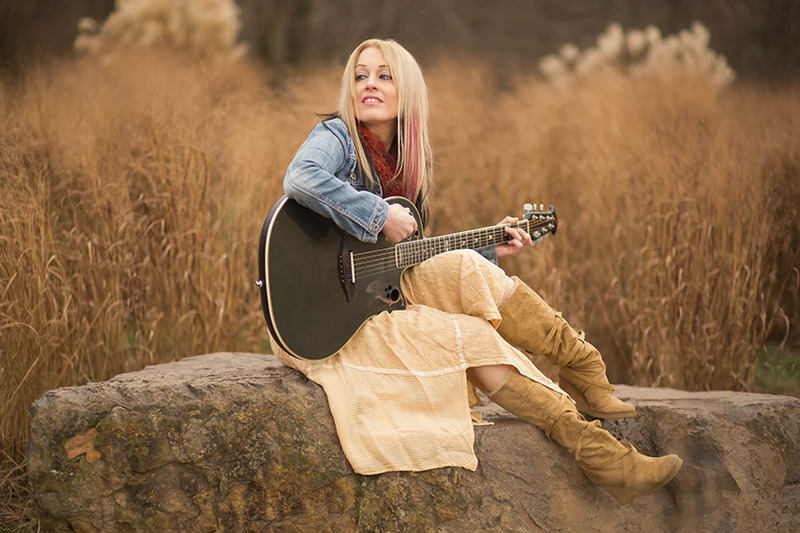 She has sung duets with Jon Bon Jovi, John Popper, and James LeBrie of Dream Theater; sung backup for Bruce Springsteen; and done national tours and opened for Meat Loaf, Blues Traveler, Bryan Adams, Train, Ingrid Michaelson and Ted Nugent. Bouchelle and her management are also in discussions with several interested parties concerning the national syndication of her TV show “Rock Star Kitchen,” which is currently seen on The Comcast Network. Video link for Lisa Bouchelle — https://youtu.be/06VbgC4rHBs. The show at John & Peter’s Place will start at 8 p.m. and feature free admission. 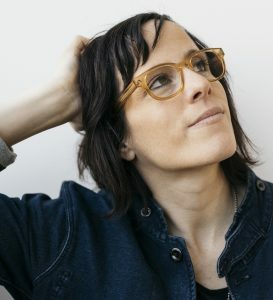 Like Bouchelle, Sera Cahoone has built a reputation in the rock world but has Americana and country roots that are bubbling to the surface. After three albums on Sub Pop Records – a label with acts such as Soundgarden, Afghan Whigs and Fleet Foxes – Cahoone, who is headlining a show at MilkBoy Philly (1100 Chestnut Street, Philadelphia, 215- 925-6455, www.milkboyphilly.com) on June 14, is returning to her early country-rock influences. Her new album “From Where I Started” was released in March on Lady Muleskinner Records. “My contract was up with Sub Pop,” said Cahoone, during a phone interview last week from her home in the Pacific Northwest. “I didn’t know what I was going to do when I was recording this record. “Fortunately, you can do so much yourself. I use ProTools and a decent microphone so I can get pretty good results on my own. My last album was in 2012. “I’ve been working on new songs since then. It’s been a while. I just write songs as they come. Life can throw a lot of things at you. When she was growing up in Colorado, her father — a Rocky Mountain dynamite salesman — took the family to mining conferences at old honky-tonks. The sounds she heard there—the twang of country crooners, cowboy boots on peanut shells—have found their way into the songs on her new album. The album also explores the darker side of the love. One of the most compelling tracks of the album is “Ladybug,” which is about the death of Cahoone’s cousin Tawnee at the hands of a domestic partner. While many country songs explore domestic violence, most do so in a heterosexual context. “Ladybug” is original in that it sheds light on the oft-hidden issues of domestic violence in queer relationships. Ladybug was one NPR’s “Songs We Love” after it debuted this February. Video link for Sera Cahoone – https://youtu.be/b0boN8LRWoc. The show at MilkBoy Philly, which has Birdie Busch as the opener, will start at 8 p.m. Tickets are $10. Wesley Stace, who will be performing a free show on June 14 at Pastorius Park (off Millman Street, Chestnut Hill, www.chestnuthill.org), has had a musical “split personality” for quite some time with music released under his own name and music released under the name John Wesley Harding. 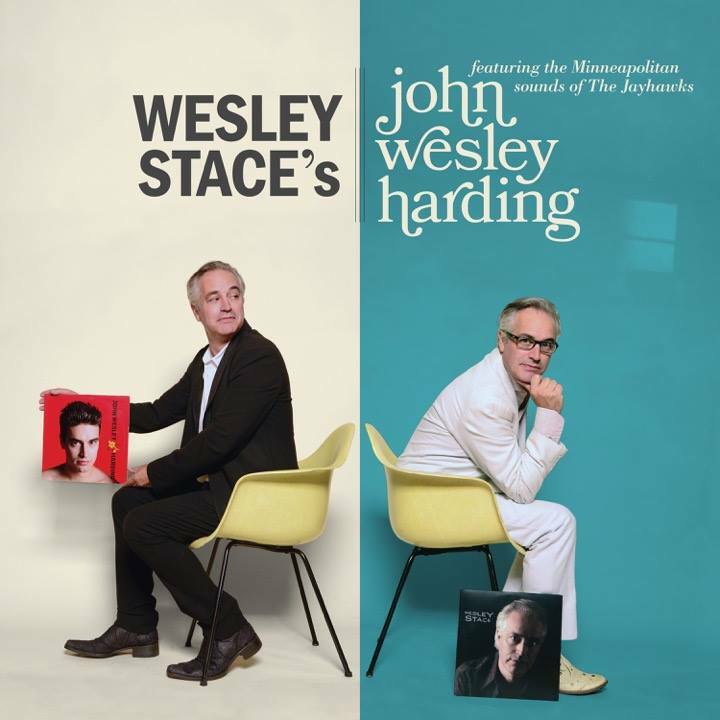 Stace is now performing in support of his new album “Wesley Stace’s John Wesley Harding.” The second album under his real name, the album’s title was chosen for a myriad of reasons including the urge to bring all his art under one banner. Stace adopted his stage name from a Bob Dylan album of the same name a long time ago. Now, he has reverted to the name given him when he was born in East Sussex back in 1965. Stace’s most recent previous album — “Self-Titled” — was his first album featuring his given name. Released by Yep Roc in 2013, it featured 16 songs recorded in Philadelphia with The English UK as backing band. It was produced by longtime collaborator Chris von Sneidern. On his new album, Stace became the second British singer-songwriter rocker recently to make an album with The Jayhawks as the backing band. The Kink’s Ray Davies also recorded his latest album using The Jayhawks as his band. Stace recorded “Wesley Stace’s John Wesley Harding” at Flowers Studio in Minneapolis. The album was co-produced by Stace and Gary Louris, who is guitarist and vocalist for The Jayhwaks. In September 2105, Stace opened for The Nighthawks at the World Café Live at the Queen in Wilmington. “Gary and I have been friends since then,” said Stace. Stace and Louris made the “Wesley Stace’s John Wesley Harding” efficiently and effectively. “We rehearsed for two and spent three days recording,” said Stace. “It was very much a studio live record. I brought the tapes back from Minneapolis and did the lead vocals here in Philadelphia at Eric Bazilian’s studio. “This album happened a little differently. Normally, I make a record when I have songs ready. This time, I had a lot of songs left over from the last record. I do tend to write all the time but I don’t finish them. “I decided to go back to my real name for a lot of reasons,” said Stace. “I got tired of using two names. Video link for Wesley Stace – https://youtu.be/0UhYM-xjjAs. The show at Pastorius Park will start at &:30 p.m. Admission is free. 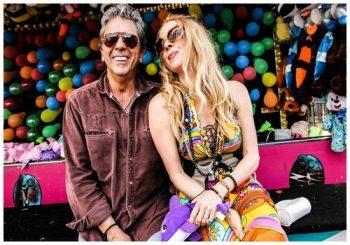 On June 14, Bobby Whitlock and CoCo Carmel are headlining a show at the Sellersville Theater (24 West Temple Avenue, Sellersville, 215-257-5808, www.st94.com) and will be playing music you know. If you listen to classic rock – even only occasionally – you’ve heard Bobby Whitlock play. You’re surely familiar with his music — even if you’ve never heard his name. Prior to that, Whitlock had played keyboards for Delaney & Bonnie and Friends. Over the years, Whitlock and recorded and/or performed with such rock legends as the Rolling Stones, George Harrison, John Lennon and Yoko Ono and Dr. John. Whitlock also has released more than a dozen solo albums from 1972’s “Bobby Whitlock” to 2013’s “Carnival: Live in Austin, which he recorded with his wife CoCo Carmel. This summer, Whitlock and Carmel, who is a guitarist, bassist and saxophonist, are hitting the road on “Sparkly Shoes Tour 2015” — a very special 10-date event presenting an all-acoustic evening of songs hosted in an intimate setting. This veteran duo has worked with some of the most renowned guitarists in the world. For this tour, they have handpicked a different local guitarist to perform with them at each show. “On the ‘Sparkly Shows Tour,’ it’s just me and CoCo,” said Whitlock, during a recent phone interview from a tour stop in Atlanta, Georgia. “And, we get a different guitar player for every venue. For the show in Sellersville, the guitar player who will be with us is Lou Meresca. Whitlock and Carmel have found a configuration that works very well for them. “I doubt we’ll ever go back to a full band again,” said Whitlock. “It’s so freeing – just CoCo and me and a guitar player with no bass player or drummer to get in the way. Carmel has performed with such acts as Dr. John, Phoebe Snow, Jon Bon Jovi, Albert Lee, and Billy Preston. “We’re just playing these songs and some new ones. The new material threads in like it’s always been there. We do back-and-forth vocals. I’m now singing the way I want to. My voice has matured. Video link for Bobby Whitlock and CoCo Carmel — https://youtu.be/DDbO1Hf8R5w. The show at Sellersville Theater, which has Steve Brosky & Jimmy Meyer as the opening act, will start at 8 p.m. Tickets are $25 and $39.50. For years, Canada has produced many, many great rock bands. Most of them are from Montreal, Toronto or Vancouver. And, many of them have remained relatively unknown in the United States. Close Talker is a talented rock band from Canada that does not fall into the first category above and, if all goes well, will not fit in the other category either. The trio — Will Quiring (vocals, guitar, keyboards), Matthew Kopperud (keyboard, guitar, bass pedal, backup vocals), and Christopher Morien (drums, backup vocals) – hails from Saskatoon, Saskatchewan. On June 14, Close Talker will make its Philadelphia area debut with a show at Ortlieb’s (847 North Third Street, Philadelphia, 267- 324-3348, www.ticketfly.com). Formed in 2012, the band has made great strides in a short period of time — two album releases and numerous tours throughout North America, Europe, and the U.K.
“At the start, a mutual friend asked us to form a wedding band,” said Kopperud, during a trans-Atlantic phone interview last week from a tour stop in Basel, Switzerland. “We got together and played covers. We liked it and kept playing together. For the first couple years, Will and I lived in B.C. (British Columbia) but home is Saskatoon. We love it here. 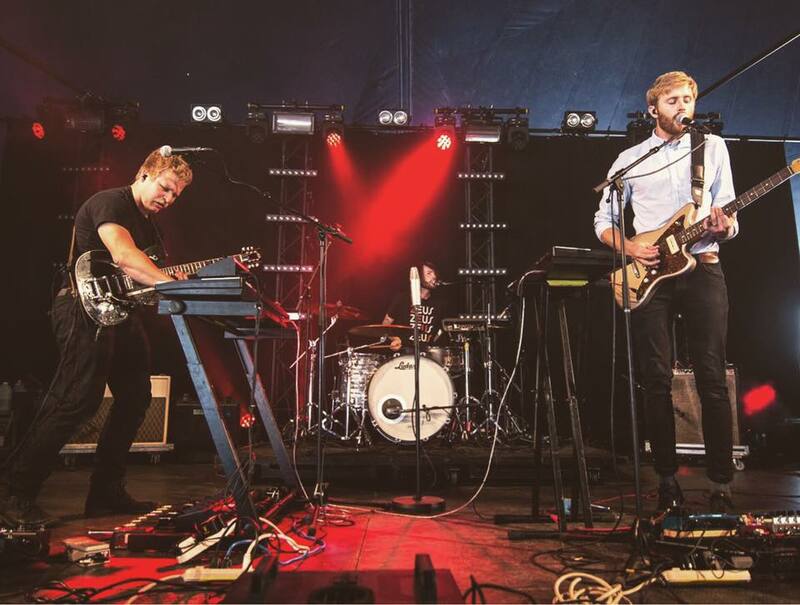 “Our first effort was a single titled ‘Timbers’ in 2012,” said Kopperud. “In 2013, we made an EP when Will and I were home from college for the holidays. “We were going to Columbia Bible College in B.C. while Chris was studying chemical engineering at the University of Saskatchewan. Next came the “Lens” album. “Lens” was released April 21, 2017 through Nevado Music (worldwide) and DevilDuck Records (Europe). The 10-song LP was produced by Matt Peters (Royal Canoe, Waking Eyes) and mixed by Marcus Paquin (The National, Arcade Fire, Local Natives). “When we were making ‘Lens,’ we were figuring out the trajectory of the band,” said Kopperud. “We play indie rock with ambient atmospheric stuff. People say it reminds them of being in nature. “It’s very drum-driven. It has fairly intricate rhythms while, at the same time, protecting the melody – some pop elements and some hooks. We don’t stay away from pop elements. Video link for Close Talker – https://youtu.be/O76ZzS67y-0. The show at Ortlieb’s, which also features Erik Kramer, Agent Moosehead, and Looseleaf Trio, will start at 9 p.m.